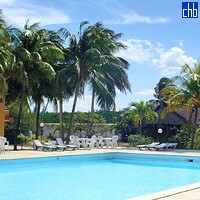 Hotel Atlantico is especially equipped for vacations with family or friends. In addition combining hospitality and pleasure with all the major attractions of the Caribbean to create a wonderful atmosphere, the hotel also organizes water sports and other exciting activities to ensure that guests fully enjoy their vacation by the sea. 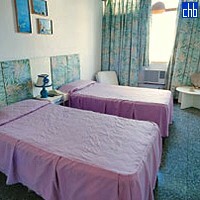 The 2 stars Aparthotel Atlantico has 62 apartments with one, two and three air conditioned rooms, distributed in three functional buildings, with bathroom, safe deposit box, telephone, satellite TV. 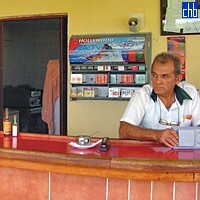 A restaurant, grill, karaoke bar, swimming pool with bar, tennis courts, shops, medical services, parking lot, tourism bureau, currency exchange, taxis and rent-a-car services. 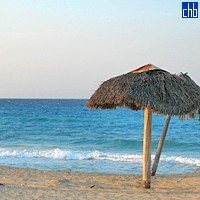 The beaches east of Havana are known as "Playa del Este". 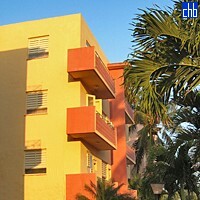 The Hotel Atlantico is located 50 meters away from the beach, 40 kms from "José Martí" International Airport, (40 minutes by car), and 28 kms from downtown Havana, (about 20 minutes by car).